Fred was exposed to firearms at an early age, and has been an avid firearms enthusiast and hunter since he was a young man. Fred completed extensive training in law enforcement curriculum, leveraging what he learned as an investigator (private). In addition to being one of the owners of ONE on ONE Firearms, he also is an owner of a Security Patrol company. Fred is an avid competitive shooter with a strong focus on IDPA, USPSA, and is also an up-and-coming multi-gun shooter. In addition to being a fierce competitor on the range, he’s also active in the martial arts (Jujutsu) as as student and a teacher. Fred brings his teaching skills to the range where they have tremendous value. He’s adept at working with students at all skill levels, and specializes in professional firearms instruction in all firearms platforms. 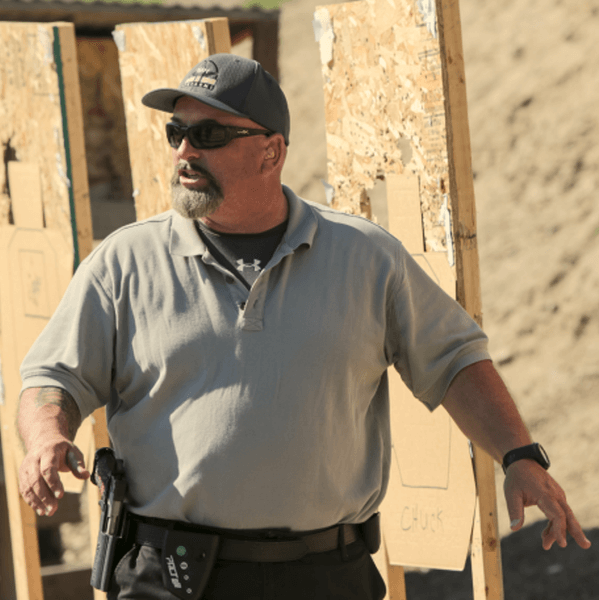 Fred is a California Department of Justice Certified Firearms Safety Instructor, an NRA Certified Firearms Instructor, and an IDPA Chief Safety Officer.